To our founders, a person’s private property consisted of his home and land, his material possessions, the work of his hands, the creative ideas of his mind, and his life itself. 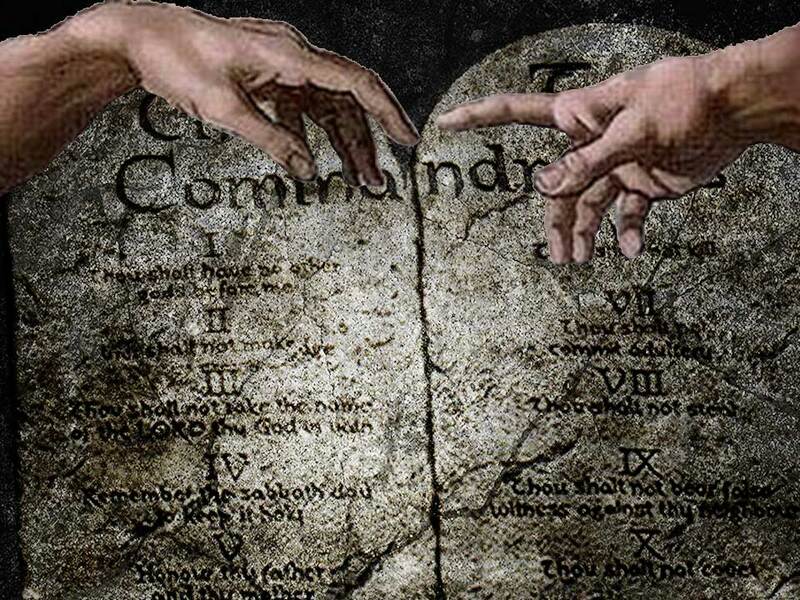 One source for the foundation of these beliefs can be found in the Ten Commandments, four of which deal directly with these Natural Law Rights. Prohibitions against bearing false witness, coveting, theft, and murder all validate the concept of personal property and protect the rights of property owners. Our founders were fundamentally distrustful of big government. After all, they had just successfully engineered the ouster of a tyrannical monarch, King George of England, to win our independence. These men understood that any government’s natural tendency, if left unchecked, would be to increase its authority and control over the states and their citizens. In so many ways, our Constitution clearly protects the sovereignty and property rights of the individual against that possibility. Nevertheless, private property rights have been progressively limited and eviscerated by Supreme Court decisions that ignore the unmistakable meaning of the Constitution’s written words. The government can steal you property through eminent domain abuse, condemnation, and confiscation. It can also steal your property through regulations that limit your ability to use and enjoy your property by ordinances and arbitrary land use restrictions, restrictive building codes, oppressive zoning laws, and unconstitutional search and seizure procedures based on laws that are fabricated or otherwise unenforceable. Free market capitalism has allowed American citizens to achieve enormous personal prosperity and upward social mobility. Hard work and perseverance have paid great dividends for those willing to take risk for the promise of future gain. The history of our nation has proven beyond any doubt that capitalism, not government, is the best tool to lift every industrious being, including the poor, from poverty to financial security. For this reason, proponents of statism and an all-powerful central government needed a strategy to advance their collectivist agenda in a manner perceived by the public to be in compliance with constitutional law. By using the Supreme Court, the progressive movement found the perfect contrivance to hide their activities behind the facade of legal sanction. In the final analysis, it is we, the American people, who are often betrayed by a group of arrogant jurists, chosen for their political beliefs and not their judicial prowess. Legal infallibility is proclaimed by the winners of their decisions, while the ugly truth is that each Supreme Court Justice is a human being governed by personal prejudice. Where is the infallibility in the denial of Dred Scott’s humanity, or prohibiting Roscoe Filburn from growing wheat on his own property for his own personal use, or the theft of our personal income for the unconstitutional Ponzi scheme called Social Security? The US Constitution is a contract originally agreed to by 13 states who used it to form the foundation of the federal government. In it, our founders defined and granted specific limited powers to the federal government, reserving all other, non-enumerated powers to the states and their citizens. The constitution was signed and executed by representatives of the 13 states. There is no signature line for the federal government, because the federal government, all three branches, was the creation of that contract and not a party to it. Only in the progressive mind can we find the fantasy that a monolithic, powerful federal government can be created using the legal machinery of our Constitution. Unfortunately, while we were busy with our lives, slowly, but surely, fantasy became reality. A recent Supreme Court decision, Murr v. Wisconsin, dealt another blow to constitutionally protected property rights. The Court allowed Wisconsin to put in place arbitrary land-use regulations on the Murr’s property to block the family’s ability to sell one of their two contiguous lots. The State of Wisconsin was not required to pay “just compensation” as required by the “takings clause” in the Fifth Amendment. In essence, Wisconsin was allowed to steal the value of one lot merely because the landowner also held title to the lot next door. This is outright Theft by Regulation. My guest on Freedom Forum Radio is Christina Sandefur, Executive Director of the Goldwater Institute, a defender of the Constitution and the liberties and rights it secures and guarantees to each of us. This is her commentary on the Murr v Wisconsin decision. You might have seen that this morning, the U.S. Supreme Court issued an opinion that expands the government’s ability to take away people’s property rights without paying compensation as the Constitution requires. The Court’s decision in Murr v. Wisconsin lets bureaucrats redraw boundary lines in ways that allow the government to impose costly restrictions on owners without paying them in accordance with the Fifth Amendment. This decision will allow the government to take property rights from owners without compensation, as long as they’re allowed to keep other property. The Supreme Court is largely washing its hands of federal legal protections for home and business owners throughout the country. That’s why it’s imperative that states enact strong protections against government exploiting property owners in this way. The Goldwater Institute has drafted a proposed Property Ownership Fairness Act, a state law to protect landowners against the type of property seizure at issue in the Murr case. Christina has won important victories for property rights in Arizona and works nationally to promote the Institute’s Private Property Ownership Fairness Act, a state-level reform that requires government to pay owners when regulations destroy property rights and reduce property values. She is also a co-drafter of the Right to Try initiative, now law in over half of the states, which protects terminally ill patients’ right to try safe investigational treatments that have been prescribed by their physician but are not yet FDA approved for market. Dr. Dan’s guest on Freedom Forum Radio this weekend is Christina Sandefur, Executive Director of the Goldwater Institute. Christina and Dr. Dan will discuss the Supreme Court decision on private property rights in Murr v Wisconsin and other issues related to property rights, administrative law, and just compensation for takings by regulation and eminent domain under the Fifth Amendment to the US Constitution. Part one of this three-part interview begins this weekend, Saturday and Sunday, August 12-13, on WJRB 95.1 FM and streamed live over the Internet. Part two airs Saturday and Sunday, August 19-20, and part three airs Saturday and Sunday, August 26-27. All programs are available by podcast following air time here. Thank you for covering our case and the terrible, unjust decision by the Supreme Court. As a result, new legislation has already been introduced in Wisconsin to fix the damage. The new bill, if passed, will make it illegal for the government to merge properties without the owners consent. It will also make it possible for us to sell or develop our vacant parcel. While we had hoped to make a positive impact on the federal level, we are hopeful we will still be able to make a difference here in Wisconsin. Keep fighting the good fight, and thank you again for keeping this story relevent. Dan, thank you for posting and making another good message available to Americans. Christina’s message is of enhanced value since she includes the tools and guidance as to how something effective can be done at the state level. If we are to reject/nullify national overreach we must start by reasserting State sovereignty. Very Interesting. But, what about public property. Do the people own it, or can the government claim title and the benefits for government budgets. The Oklahoma’s “Trust Act” grants city, county, and state government the use of color of authority to seize public property to add to the tax burden as they also seize the benefits from the public .Let’s double the utility rates to feed the general fund. It is all for the good of the public. (?) or is it Socialism. Dennis. Thank you for your comments. We all know from history and current experience that the federal government (and to a great degree state and local governments) abuse property rights (among other constitutional rights) to wield power over the people in an abusive and unconstitutional manner.